From Greece to the rest of the world! Mind the Lab is a breakthrough initiative that brings science to the general public, acts as a science teaser and a powerful tool to attract the interest of the general public, and direct it to science-related channels, such as science festivals. Mind the Lab was founded by SciCo in 2016. 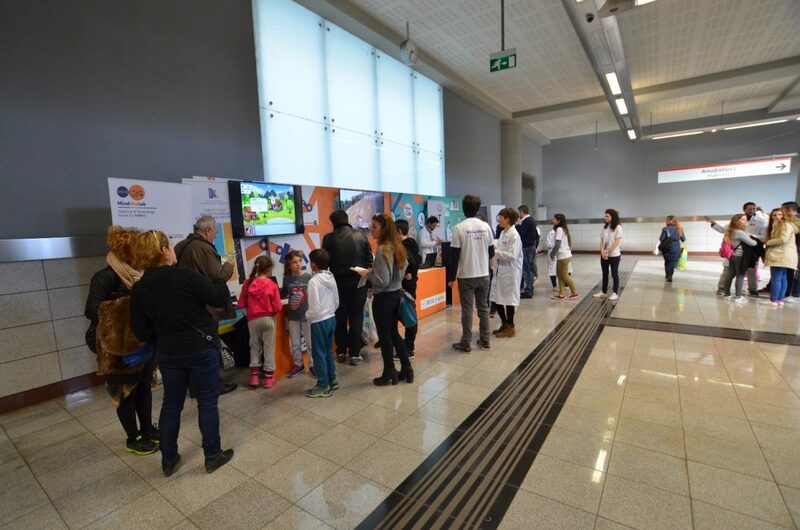 It was piloted across 8 metro stations around Athens, Greece, on the 3rd of February 2017, and attracted more than 10,000 metro passengers (1 out of 10 passengers stopped by to be informed and interact with the exhibits). In 2018 Mind the Lab will travel across different countries around the world in order to literally bring science in people’s way. 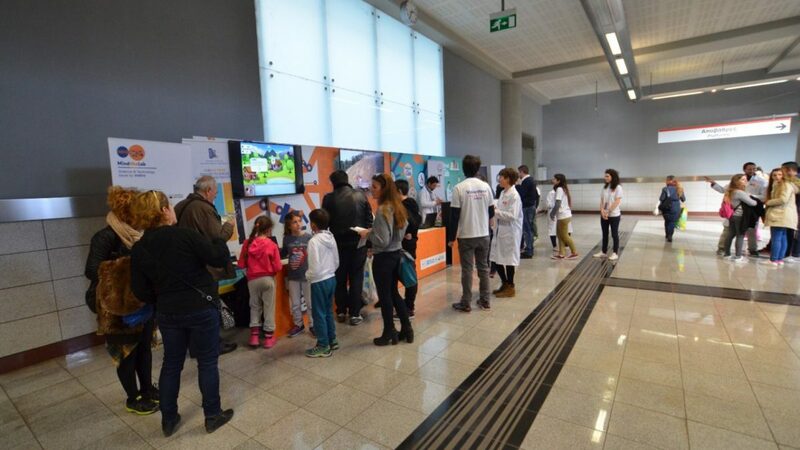 Theo Anagnostopoulos, the Co-founder and General Manager of SciCo explains the vision behind Mind the Lab and presents this innovative approach that aims to boost science communication! Read Theo’s blog post that was published on the 21 st of June 2017, at “Public Understanding of Science BLOG”.